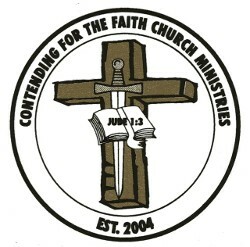 Welcome to Contending For The Faith Church Ministries! 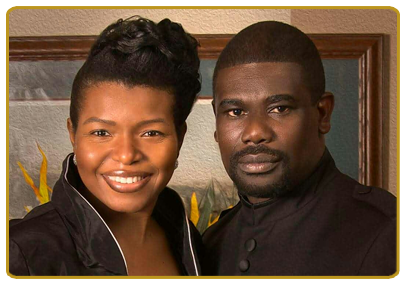 Join us where we worship the Lord in Spirit & in Truth! Come experience a mighty & genuine move of God! Walk in power, healing, deliverance & wholeness today! See you soon! » Sunday Worship Services: Every Sunday @ 11:00 a.m.
» Weekday Prayer: Every Tuesday & Wednesday @ 12:00 p.m.
» Prayer/Devotion: Every Thursday from 6:00 p.m. to 7:00 p.m.
» Bible Study: Every Thursday @ 7:00 p.m.
» Sunday School (All Ages): Every Sunday from 9:50 a.m. to 10:50 a.m.
» Ages 0–2: Every Sunday @ 10:30 a.m.